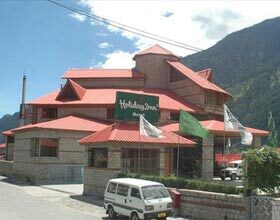 Away from the bustling city lifestyle along the serene flowing river is a nirvana, Span Resorts & Spa Manali. These gorgeous structures of the private cottage style accommodations nestle in the sprawling greenery and exalts of the splendid panoramic vistas. 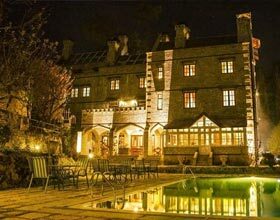 Guests adore the traditional cordial hospitality and 36 airy rooms of this well-appointed resort. Revive the senses with its rejuvenating treatments at signature Span Spa, La Riviere Spa by L'Occitane along with contemporary fitness arena and a refreshing swimming pool. The sumptuous resort features a helipad and an array of leisure activities. 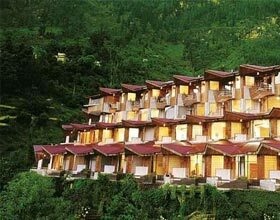 Featuring princely furniture and exclusive patio sit-outs, all guest rooms of the Span Resort & Spa Manali boasts of its modern amenities and intricate interiors. Classified into 4 distinct retreats namely Premier Rooms, Elite Rooms, Premium Deluxe Rooms and Grand Deluxe Rooms; these 36 cottage style accommodations are a realm of serenity with splendid unhindered vistas from them.